Hoverboards are taking over the world! They’re one of the best gifts for both children and adults. However, it’s very difficult to pick the best one if it’s your first time buying. If you want to purchase your first hoverboard, this article is for you, especially if you’re an adult. We’ve researched the best adult hoverboards, so you don’t have to review them one by one. However, before we present the top six picks for 2019, we wanted to share a few useful tips on how to choose the right hoverboard and things to look out for when buying one. Now, let’s dive into the exciting world of self-balancing electric scooters. How to choose the right hoverboard? What should I look out for? What Size Hoverboard Should I buy? What Brand of Hoverboard is the Best for adult? Are hoverboards worth buying? How much should I spend? 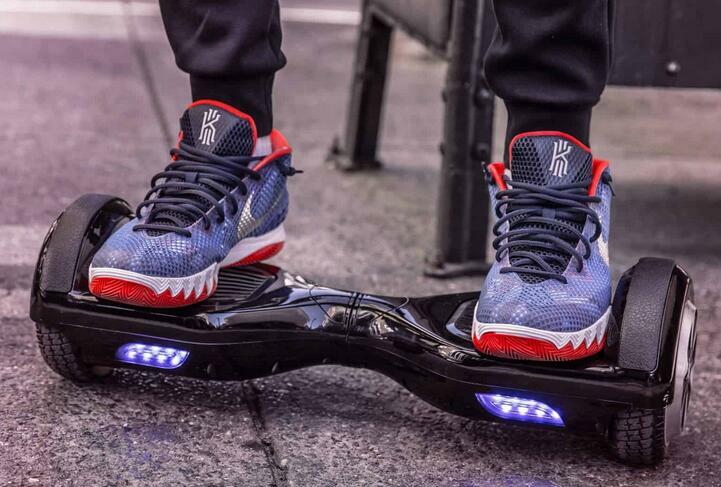 As mentioned earlier, hoverboard is gaining a lot of attention around the world. However, it’s still difficult to pick the right model that will be stable, durable and save to ride. That is why we shared these important features you should consider when buying a hoverboard. If you decide to make your purchase online, beware of where you purchase from. Check if the product is recommended. If you’re buying from eBay or Amazon, check if the one you plan to buy is safe to use. Read customer reviews. Put your safety first because most stores have withdrawal different hoverboards models due to safety concerns back in 2015. Since then, users have a hard time choosing the best adult hoverboard. If you notice that some stores offer products for extremely low prices, check twice before you invest money into something that might jeopardize your safety. Look out for outdated hoverboards too. Some hoverboards work with cheap batteries which don’t come with a warranty. Keep that in mind, as well. Never purchase products without a warranty and positive feedback online. Quality is the main feature you should look out for when buying a hoverboard. If you want to buy your first hoverboard online, check the origin of the product. Also, always pick the one with updated features and boosted performance unlike the ones manufactured in 2015. There’s a big difference between the models back then and those designed today. To avoid potential fire catching disaster, check if the control system and batteries are updated and meet UL standard. It’s nice to know that new models have come and they can be controlled by smartphone applications. Next thing you should look out for is the weight requirements. Although hoverboards were designed for children, adults find them extremely fun to use too. And who can blame them? Still, you’ll notice lower weight requirements when buying a hoverboard. Models that support adults are available on the market, however, hard to find. After hours of research, we’ve found the best models for adults. However, we recommend that you stay 10% underneath the weight requirement for the hoverboard you want to buy. For example, if the max weight capacity says 200Lbs, program your mind to read 180Lbs. The higher the capacity, the faster the product. Less strain on the hoverboard results in improved rides and longer lifespan for your hoverboard. Next important feature is speed. Speed matters because of the higher the speed, the bigger the fun. And you need to pay attention to speed restrictions because of the huge debate in NYC four years ago where it was discussed if hoverboards should be used at all. However, laws on this matter change all every day. And it’s almost impossible to follow every update on what you can and can’t use. Still, we advise you to check the local law listings before you purchase a hoverboard. Make sure that you can use the product effectively and share the information with some future buyers. Otherwise, you will spend more money on a ticket than you did on the hoverboard. Last but certainly not least important is the warranty. If you’re buying a hoverboard for continuous use, you should pay attention to the warranty of the hoverboard. The more you use the product the bigger the chance of something going wrong like parts malfunctioning. You’re free to check this information on Amazon. However, you might also find the website of the company you’re buying from and collect more details about the warranty they offer. You can choose between three main wheel sizes when buying a hoverboard, starting from 6.5 inches, 8 inches, and +10 inches. Hoverboards with small wheels are quite easy to carry around and don’t weight much. However, their accessibility is limited to wide, flat surfaces. If you purchase a hoverboard with a 10-inch wheel, you can enjoy riding on different kinds of surfaces, including rough terrain. Still, if you want to learn cool moves and tricks, we’re suggesting that you buy a hoverboard with small wheel size. For example, a 6.5 inch sized. Other important features you might want to pay attention to is Bluetooth speaker, lights, remote key and carrying bad. These are the most wanted features among most customers. Did you know that hoverboards were born in China back in 2014? Soon after that, this fun toy gained popularity worldwide, especially in 2015. Riding a hoverboard became so popular then even celebrities started using them. However, increased popularity might affect the quality of a product on the market. Different manufacturers offer different hoverboards. We strongly suggest that you purchase from a respected, trusted brand such as the ones on our list. As mentioned before, safety always comes first. Meaning, you should make sure that the company you’re purchasing from offers hoverboards with UL 2272 certification. We’ve also mentioned that fire disasters have occurred in the past. So, in order to avoid such an accident, choose the product that is updated and passed different safety tests. Other important features are battery and charging. Longer battery life means extended fun. However, keep in mind that charging time, performance and speed are important too. Look for a hoverboard that offers a compromised balance between long-lasting battery and speed. And don’t forget charging. Hoverboards that require 6 hours of charge aren’t acceptable. Look for a hoverboard that needs between 1-2 hours to charge. Distance range matters too. The best adult hoverboards offer between 9 and 12 miles of distance range. Quality and lightweight construction matter as well. If you choose a strong but lightweight hoverboard, you will have it longer. Also, portable models offer a smooth ride, great speed, and battery capacity. The motor of a hoverboard is important too. The bigger, the better. Now, let’s jump into the comparison chart and pick the best adult hoverboard according to your needs and requirements. For detailed description and price, check their Amazon page. In case you don’t have any experience with hoverboard brands, we’ve collected the 6 best adult hoverboards on the market. They’re all designed by trusted brands and you can’t go wrong no matter which one you choose. Click through and pick the hoverboard that you like best. You can’t go wrong with the Razor Hovertrax 2.0 Hoverboard self-balancing smart scooter. As the name says, it’s a smart, self-balancing hoverboard that you will blow your mind. It’s way better than the 1.0 model. If you’re looking for something modern and upgraded, this is the product for you. With a cruising speed of 8+ mph and silent 350-watt motors, Razor will definitely bring excitement into your life. It lasts 60 minutes for riders up to 220 Lbs. However, the best part about this hoverboard is the removable battery. It means that you can extend the life of your battery. Suitable for both children and adults, this baby has a range of 15 miles and provides silent performance and smooth ride, unlike other products. Additional features that might catch your interest are the fender bumpers, the cool-blue LED light bar display, two riding modes for normal riding and training, and the LED battery power indicator. It’s affordable, simple to use and durable. What more could you ask for? 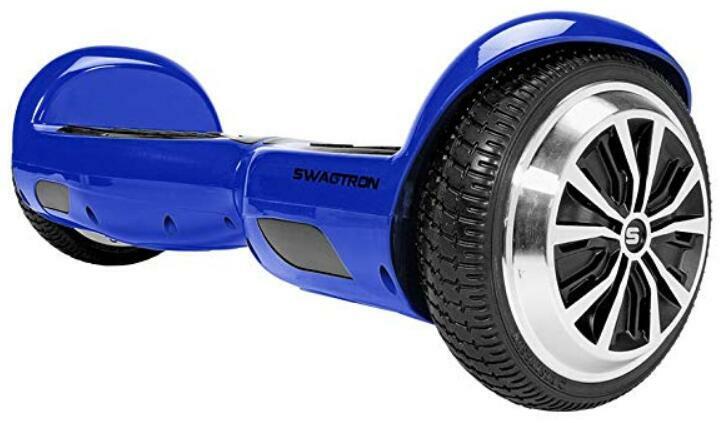 If you’re looking for something easy to navigate, smart and classic, Swagtron Swagboard is the model for you. It’s suitable for both children and adults and provides next-generation mobility. You can control it with your body thanks to the leaning standing motion operation and integrated electro-mechanical gyroscope responsible for stability and speed. It has a max speed of 8 mph, while the dual-wheeled design offers fast transportation everywhere. Not to forget that it features a 250W high powered energy efficient motor, 275Lbs max weight capacity, and 15° degree climbing incline angle. It’s water resistant, meaning it’s one of the best hoverboards for outdoor use. It’s stylish and modern and comes with a charger cable power adapter and accessory kit. If you wonder about range, it offers you to ride up to 14 miles on a single charge. And charging time lasts for 2 hours only which is awesome. 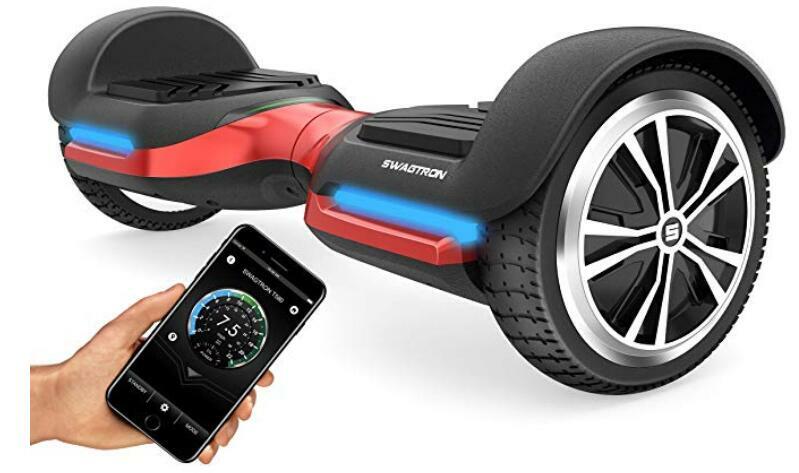 Another hoverboard on our list of best hoverboards for 2019 is Swagtron Swagboard Vive T580. It’s one of the most popular models on the marker and favorite among buyers due to modern technology and smooth performance. It’s Bluetooth enabled which means that you can listen to music, access maps, check the battery and change modes with a max speed of 7.5 mph. However, the best part about this product is the ability to climb inclines of up to 30° with 150W dual motors. It offers 3 modes to choose from and has a range of 8 miles. Maximum weight capacity of 220 Lbs and 6.5-inch hard rubber tire that will give you the best ride of your life. Charging time ranges between 90-100 minutes. And not to forget to mention, you will get it with an application that’s compatible with both Android and iPhone. 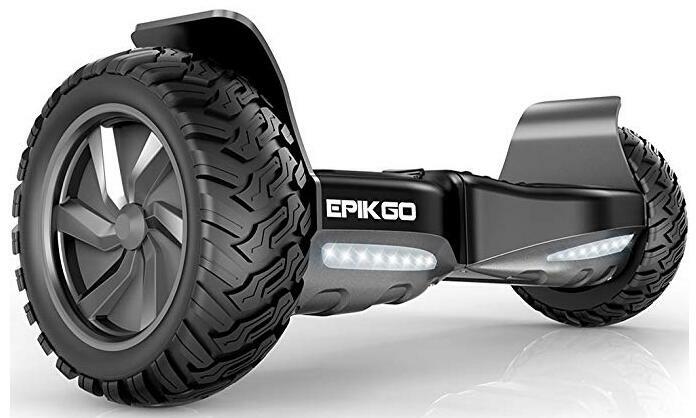 If you’re in the mood for a more off-road experience, the EPIKGO self-balancing scooter might be the perfect model for you. It’s designed for adventurers who would gladly trade the road and sidewalk for a more exciting experience. One of the best hoverboards at the moment that will make you fall in love at first ride. If you’re down for off-road travel, one of your biggest concerns would be damaging your ride. However, this should be the least of your concerns with this machine. It can handle different surfaces. With 8.5 inch tires and a powerful 400W dual hub motors, it’s a dream come true for every adventurer who wants to experience something wild and fun. It charges really quick. Definitely worth your cash. Interested in something modern, feature-rich and affordable? How about Segway minipro smart self-balancing personal transporter? It features an anti-theft alarm, speed control, adjustable lights, vehicle diagnostics, and firmware updates. Suitable and fun for all ages. 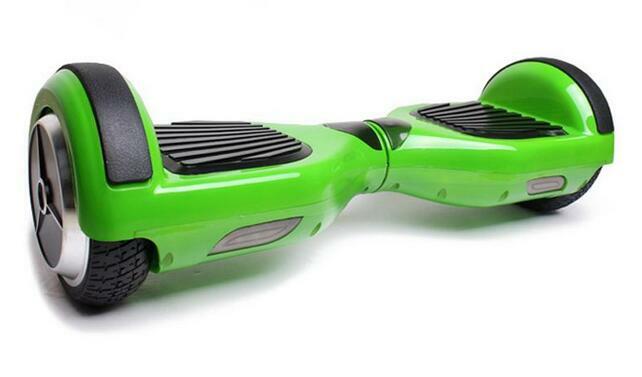 If you’re wondering what hoverboard to purchase, this is the one. A perfect combo of high quality, modern technology, and safety thanks to the upgrades. 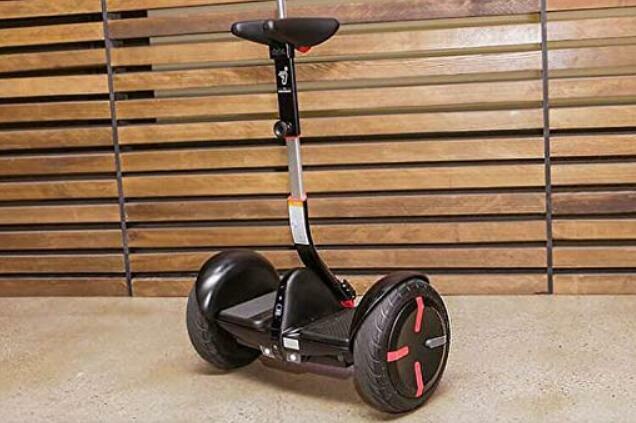 Segway mini pro can handle a maximum weight of 220 Lbs. Lightweight and has 10.5-inch pneumatic air-filled tires with military shock absorption capability. Easy to use and one of the best ones on the market. 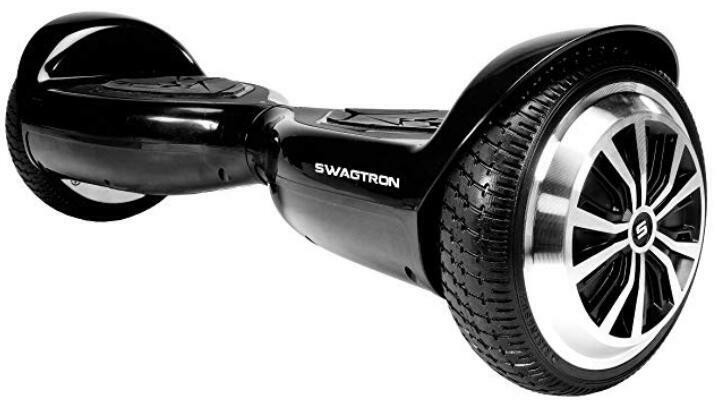 We cannot leave out Swagtron Swagboard Pro T1 out of our list of best hoverboards. It’s suitable for both adults and children and supports a weight of 220Lbs. A durable, easy and simple to use, however, most importantly, safe and UL 2272 certified as the name reveals. 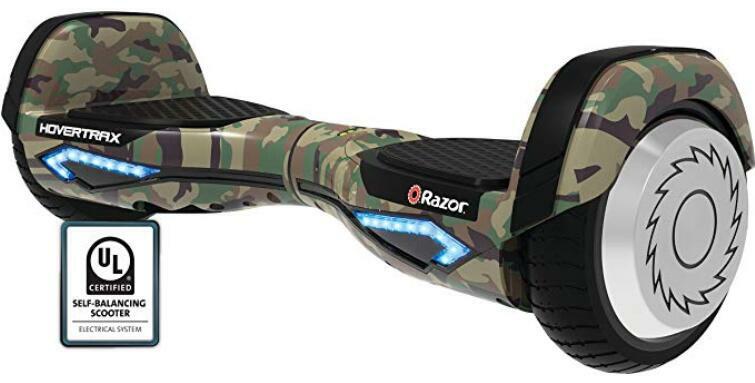 If you hesitate to buy this excellent product because of the bad history with hoverboards in 2015, don’t worry because this one is fire-resistant and will keep you 100% safe and well during your ride. It doesn’t take more than one hour to charge and has two learning modes for beginners. It’s feature-rich and offers a smooth ride, good battery life, and durability. 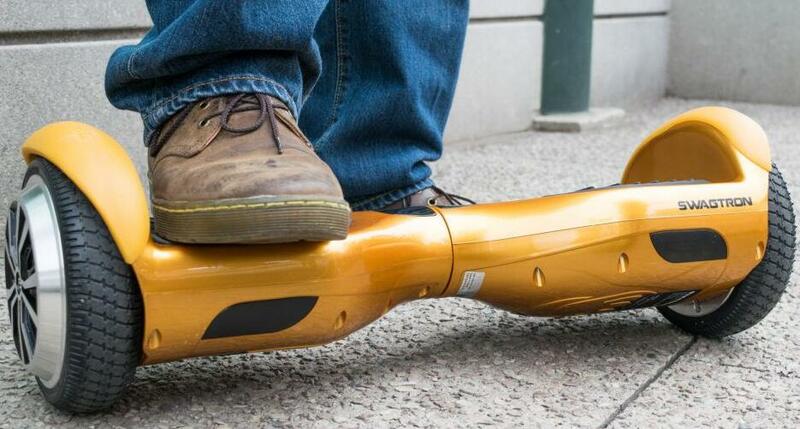 Did you know that riding a hoverboard requires leg muscle? So, if you’re not active, expect to get tired fast. If this info decreases your desire of riding a hoverboard, we recommend that you spend your money on something else, something that requires reduced leg activity. However, if you’re already aware of this and still want to purchase a hoverboard, then yes, it’s worth having. Not only that it will increase the fun in your life but also keep you active. If this is your first time shopping for a hoverboard and you’re not familiar with the prices, know that it will cost you between $200 and $600. However, remember that the price may not guarantee durability and a nice ride. Look for something affordable and recommended. Owning a hoverboard has many benefits like fun and easy transportation and maintaining a healthier lifestyle. Meaning, the answer is ‘yes’! Purchasing a hoverboard is totally worth it. There’s no doubt that this toy will boost your mood and bring excitement into your life. So, if you hesitate, don’t and make your purchase. Select one of the best adult hoverboards we presented in this article and take advantage of all the great benefits a hoverboard offers. Feel free to share this article with someone you love. Help them choose the right product, according to their needs and preferences. We sincerely hope that you have found a match!